New Scotland Sevens coach Calum MacRae has named his first squad for the opening round of the HSBC Sevens World Series in Australia. Damien Hoyland and Nyle Godsmark will make their debuts having earned selection for the Gold Coast Sevens which takes place on October 11-12. “Damien proved that he is capable of performing well at this level of sevens during the Rugby Europe Grand Prix Sevens Series,” said MacRae. James Eddie and Lee Jones return to the side for the first time since the Commonwealth Games in July, while the side will have a new captain in Scott Wight. Ben Ryan has named four new players in his squad for the first round with Eminoni Nasilasila, Apisai Naqaliva, Sanivalati Ramuwai and Savenaca Rawaca all set to make their debut for Fiji. “All these players are going to make their debut, they’re not there to make up the numbers but they’re there to make an impact,” said Ryan. 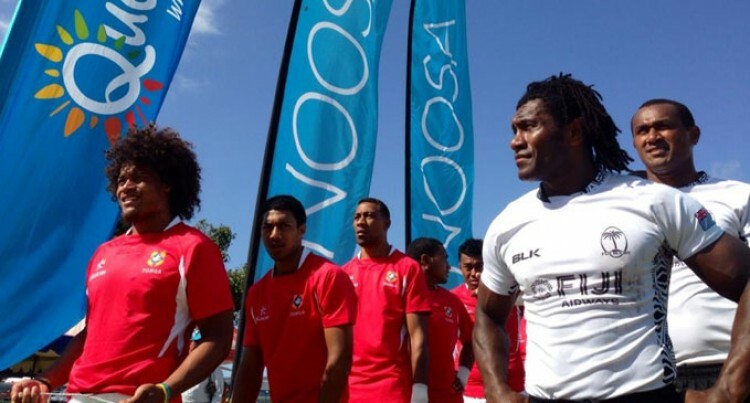 Fiji squad: Apisai Domolailai, Semi Kunatani, Jasa Veremalua, Setefano Cakau, Isake Katonibau, Apisai Naqaliva, Emosi Mulevoro, Osea Kolinisau, Eminoni Nasilasila, Sanivalati Ramuwai, Savenaca Rawaca, Apisalome Waqatabu.